Seventy-three years ago, the world was shocked and horrified as the extent of the Holocaust extermination machine was unveiled. Six million Jews, half of Europe’s Jewish population and a third of the world’s, slaughtered in less than five brutal years. Along with five million others—priests and pastors, gypsies, Jehovah’s Witnesses, communists, anarchists, Poles and other Slavic peoples, not to mention resistance fighters. How could a loving God allow His people—or any people—to be led to such a slaughter? Let’s be very clear about one thing. The God who cares about every sparrow and numbers each hair on our heads, the God who formed each of our inward parts in our mothers’ wombs, the God who sees… saw this too. He heard every muffled sob, every anguished cry. 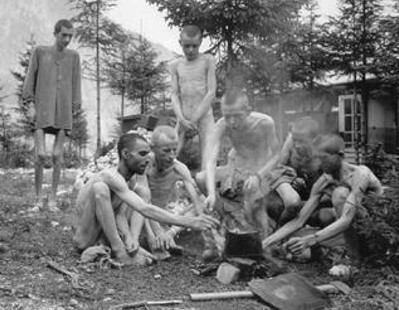 If the war-soiled soldiers who liberated Dachau were so enraged they shot every Nazi guard they found, what kind of justice will a righteous God exact? How do you suppose God felt every moment the Nazi extermination machine ground on? However, He wasn’t surprised—at all—at the depths to which human sin would drive us. And He has a plan that encompassed it. More than 1400 years before Christ, Moses predicted that the Jews would be scattered among the nations. He also predicted they would ultimately return to the land the Lord had given them. The Jewish Diaspora began when the Assyrians plundered Northern Israel in the eighth century B.C. It continued when the Babylonians conquered Judah in the sixth century B.C. “The knee bone connected to the thigh bone. Now hear the word of the Lord.” Did you ever sing that old spiritual? I was well into adulthood before I realized I’d been singing a version of Ezekiel’s vision. The Lord goes on to explain what He’d just shown the prophet. When Was Ezekiel’s Prophecy Fulfilled? Was this fulfilled when the Jewish people returned from Babylonian exile? No, for three reasons. The Lord goes on in the next verses to state that He will reunite the southern kingdom with the northern kingdom under a single government in the land. The northern tribes which went into exile under the Assyrians (the “ten lost tribes”) never have returned—except that the lost tribes may be starting to return today! There are many, many other prophecies I could cite. But… “Our hope has perished. We are completely cut off.” Does that not capture the wretched state of the typhus-ridden living skeletons the Allied forces encountered when they uncovered the Nazi death camps? When the concentration camps were liberated in 1945, I always pictured that the captives were quickly nursed back to health and freed. But in researching a future novel, I learned that picture is heartbreakingly inaccurate. The war left 250,000 Jewish displaced persons interned around Europe—many of them still confined behind barbed wire in overcrowded conditions on the very grounds of the camps in which they’d endured so much. How and where to resettle them became a humanitarian crisis of global proportion. They didn’t want to or couldn’t return to their former homes where they’d faced so much persecution and betrayal. Shamefully, for the most part the nations turned their backs on them—most notably the British, who still controlled Palestine under the mandate to create a Jewish homeland there. With hundreds of thousands of Jews now begging for a chance to enter Palestine, in the face of Arab pressure the British permitted only 18,000 legal Jewish immigrants per year. Many Jewish displaced persons were still in those camps five years later. Horrible. But why do I claim the Holocaust was so pivotal? Because it was the mechanism the Lord used to establish the modern nation of Israel. And Israel is His end-times timepiece. Those are two pretty big assertions, so let me break that down. In Luke 13, our Lord is in the midst of a pointed give-and-take with the Pharisees, the religious leaders of His day. He urges His listeners to repent and provides a parable as an illustration and stark warning. A few days later, on the day after His triumphal entry into Jerusalem, He encountered an actual fig tree. 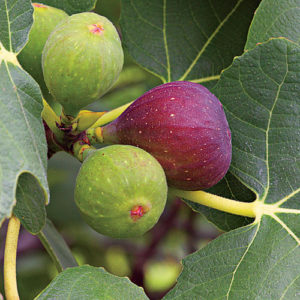 I think it’s crystal clear in the context that Jesus used the fig tree as a visual symbol of the nation of Israel. When He caused one to wither in Matt 21, it illustrated the national destruction that would be unleashed within a generation after the Jewish nation crucified its Messiah. And when we see the fig tree bloom again in Matt 24, it represents the rebirth of the destroyed nation. So, when the Jewish nation is brought back to life in fulfillment of prophecy, the generation that witnesses this rebirth “will not pass away until all these things” described in Matthew 24-25 take place. Is the Modern Nation of Israel Truly That Prophetic Fulfillment? 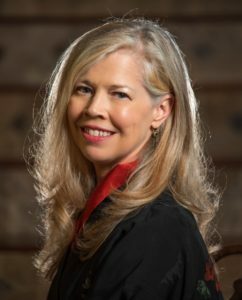 I shared some thoughts on this in another post. 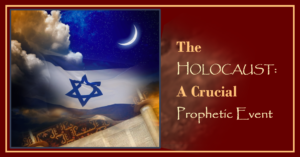 You’ll find a list there of dozens of prophecies from the Hebrew scriptures that have been fulfilled, quite literally, in the modern nation of Israel. I’m not arguing that the nation of Israel is perfect in its current instantiation. The Ezekiel 37 passage is clear that the Lord will bring them back into the land initially in an unregenerate state. But if you don’t see God’s hand at work, calling a remnant of His people back into the land and protecting and providing for them there, not to mention making a nation the size of New Jersey into “an exceedingly great army,” I’m convinced you are missing the very core of what He’s doing in our day. Now for my second big assertion above. How did the Holocaust drive Israel’s creation? A little background. In the early twentieth century, the land of Israel was part of the Ottoman empire. After the Ottoman Empire fell at the end of WWI, the League of Nations gave the British a mandate to manage an area that included what we now call Israel and Jordan. It was the British who dubbed the area “Palestine,” a nod to a name the Romans gave it millenia before. For centuries prior to 1922, there was no concept of Palestine as a distinct political entity, of Jerusalem as any sort of political capital, or of the Palestinians as a people group that was in any way distinct from other Arab citizens of the Ottoman empire. To say it more succinctly, while there certainly were Arabs who lived in an area the British named Palestine, “Palestinians” as a distinct people group simply weren’t a thing. For many years, Jewish people were allowed to immigrate freely into British Palestine. Some came, purchasing land legally from Arab families who were happy to sell it. But they didn’t come in great numbers. Why? Because life in Palestine was hard! The land they were able to purchase was generally undesirable. They drained malarial swamps or fought to coax crops from arid sand. You had to be young, hardy, and a bit of a zealot for the pioneering Zionist life to appeal. Worse, even though they’d acquired their land legally, the Jewish neighborhoods and settlements were subject to random violence by Arab neighbors. These episodes became more frequent as the Jewish population increased, climaxing in the Arab Revolt of 1936-1939. Approximately 300 Jews were murdered during this Revolt. Backbreaking labor? Violent opposition from neighbors? Doesn’t it evoke shades of life when the Jewish remnant returned from Babylon, as described in Ezra and Nehemiah? In Western thought, time progresses in a line. How often has someone shown you a timeline for something? Something I’m slowly learning to appreciate is that, in Hebrew thought, time progresses as a spiral. Prophecies often have multiple fulfillments. One sequence of events foreshadows another that provides an even greater realization of the same spiritual truth. 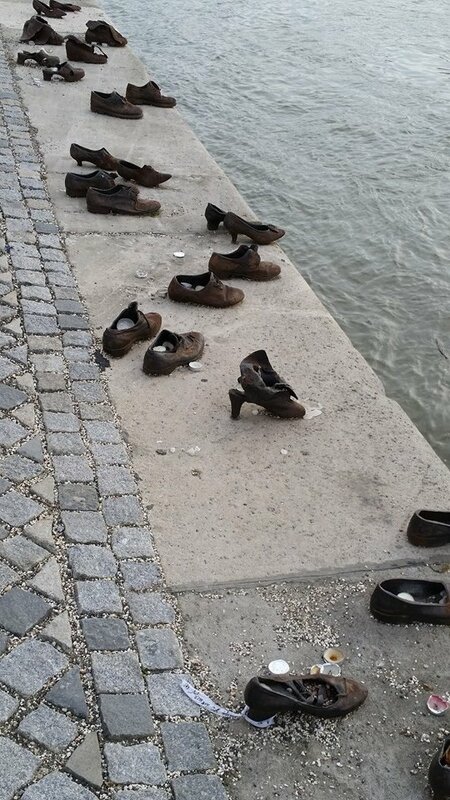 In Budapest, a Holocaust memorial on the banks of the Danube. When the trains for Auschwitz weren’t leaving fast enough, the Nazis just shot them at the river. But they made them take off their shoes first. The shoes, it seems, had value. I see this as one of those occasions. As in the days of Esther, most Jewish people in the early twentieth century fatally clung to their comforts in exile rather than returning to the land. Sadly, it took the sweeping horror of the Holocaust to drive substantial numbers back to Zion. Nothing is a historic accident. May we never forget the Holocaust and the millions of lives it wiped out! But even in something that awful, our God reigns. For I consider that the sufferings of this present time are not worthy to be compared with the glory that is to be revealed to us…. We know that God causes all things to work together for good to those who love God, to those who are called according to His purpose…. Again… God’s timepiece is wound and the clock is running down. I’m not sure what “short” means, but I know time is short. If you haven’t yet recognized your “calling according to God’s purposes,” if you haven’t yet made the decision for Christ that will make you part of God’s remnant for whom “all things work together for good,” I urge you to hesitate no longer. A sincere thank you for the time and attention you’ve devoted to this post! Here are links to a couple other articles on Israel that might interest you. If you’ve never opened God’s free gift of salvation through Jesus (Rom 3:23, 6:23), please please please be persuaded to do it now! It’s simple. Just tell God from your heart that you admit you’re a sinner that needs a Savior (“For all have sinned and fall short of the glory of God.” Rom 3:23) that you’re done running your own life, and that you’re ready to make Jesus Lord of your life. As usual, a well composed piece of work. I was thinking about the fig tree that was root pruned and manure added…which I’m sure was well composted. I learned years ago that when plants don’t flower and produce fruit that root pruning can change the harmon balance. The new roots can develop more feeder roots and the plants go into a reproductive cycles producing flowers for fruits and seeds. I wonder if that could be applied to their horindus treatments in the death camps as a fig tree ? They sure got crapted on to say the least. Now they are a flourishing tree full of fruits in many ways including produce. Like you said,spiraling prophecies that have multiple meanings. Thank you, David! That’s a fascinating observation! Psalm 102 foretold the Holocaust (vs.1-11) and then the subsequent restoration of Israel (vs.12-28). Years ago I sat next to a Mayor of a City in Israel on my flight to visit this beautiful land. The question came up in our conversation posed by him and I hesitated to answer but did say that perhaps God allowed this to bring His people back to a Homeland. His response was immediate and he replied that The God of Israel is powerful enough to lift his little finger to do that job! That gave me insight from their perspective and an awareness of how to pray more effectively. Hi, Cindy! I apologize for my slow response… somehow I managed to miss your comment. That is a fascinating story! YES, the God of Israel could do that–but He is also powerful enough to banish all the inhabitants of the land with a flick of His finger in ancient days, yet He chose not to do that, but to allow His people to partner in the effort to subdue the land. Food for thought, indeed!